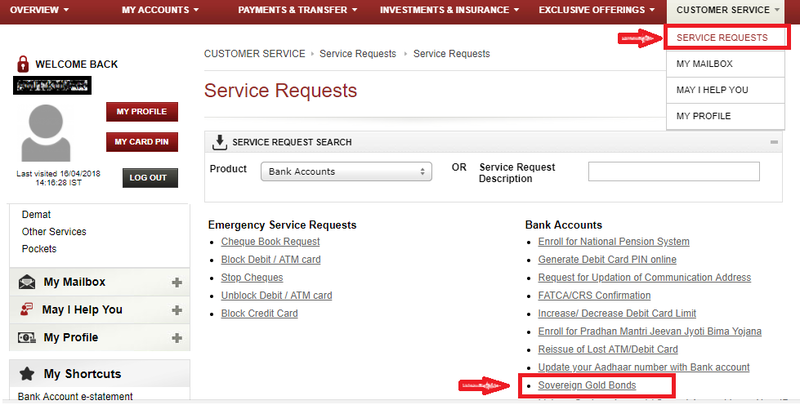 How to Buy Sovereign Gold Bonds Online? 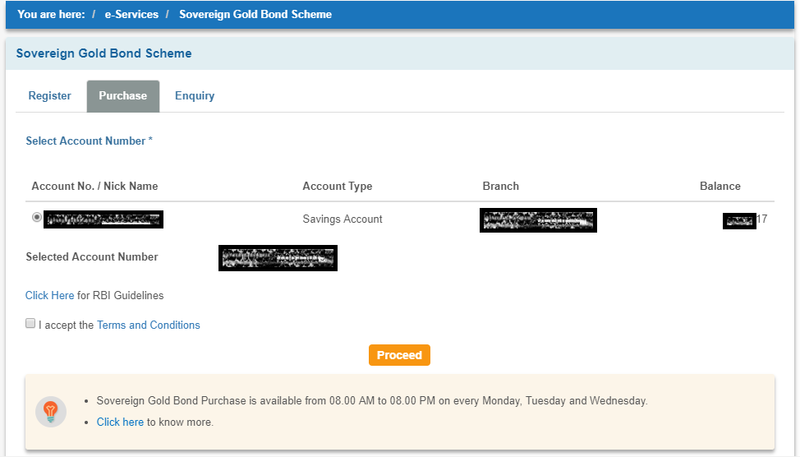 How to Buy Sovereign Gold Bonds? There are multiple ways to buy or invest in gold but Sovereign Gold Bonds is the best way. This is because it’s safe, secure, easy to manage, no need to check for impurity and above all you are paid 2.5% interest! These Sovereign Gold Bonds are open for subscription from time to time and people eligible can invest in them – both online and offline. The advantage of investing online is you get Rs 50 discount over the listed price. For example, the first Series of Sovereign Gold Bonds in FY 2018-19 has the listed price of Rs 3,114 but if you invest online you can get the same at Rs 3,064. Where to Buy Sovereign Gold Bonds? We list down the entities which are allowed to sell Sovereign Gold Bonds. Axis Bank Ltd. HDFC Bank Ltd. Kotak Mahindra Bank Ltd.
Bandhan Bank ICICI Bank Ltd. Lakshmi Vilas Bank Ltd.
Catholic Syrian Bank Ltd. IDFC Bank Ltd. Nainital Bank Ltd.
City Union Bank Ltd. IndusInd Bank Ltd. Ratnakar Bank Ltd.
Development Credit Bank Ltd. Jammu & Kashmir Bank Ltd. South Indian Bank Ltd.
Dhanlaxmi Bank Ltd. Karnataka Bank Ltd. Tamilnad Mercantile Bank Ltd.
Federal Bank Ltd. Karur Vysya Bank Ltd. Yes Bank Ltd.
Barclays Bank Krung Thai Bank United Overseas Bank Ltd.
Click on the link to download the list of approved post offices for buying gold bonds. There are 810 of them. You can invest in Gold bonds through both National Stock Exchange of India Limited and Bombay Stock Exchange Ltd through demat accounts. 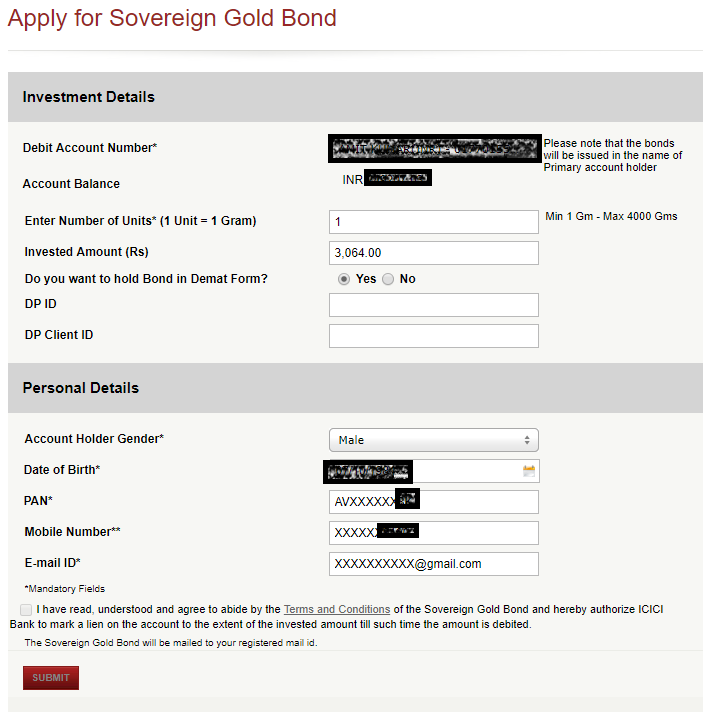 There are 6 forms related to Sovereign Gold Bonds. You can click on each to download the same. Download: How to Save Income Tax for Salaried and Professionals for FY 2018-19? 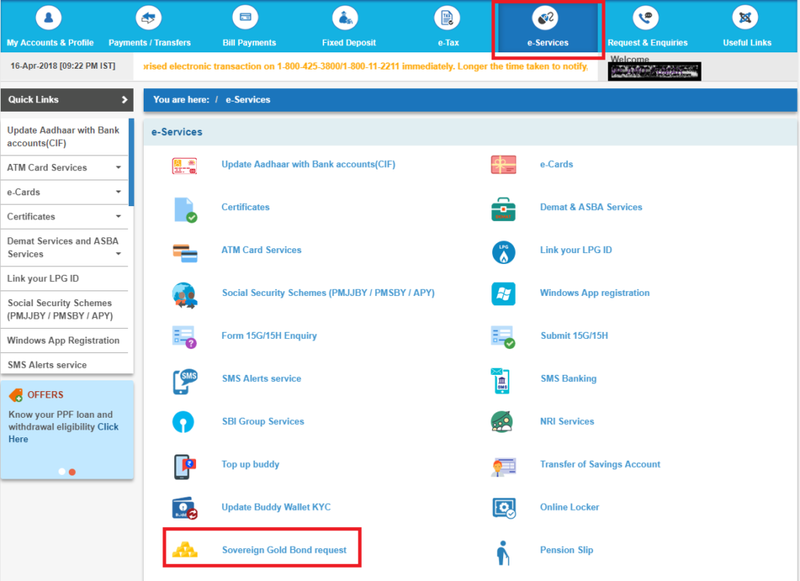 As you can see investing in Sovereign Gold Bonds online through banks (SBI, ICICI, Axis) and demat account is matter of just a few clicks. If you want to buy Sovereign Gold Bonds do it online as it’s not only convenient but also gives you a discount of Rs 50 over the listed price!